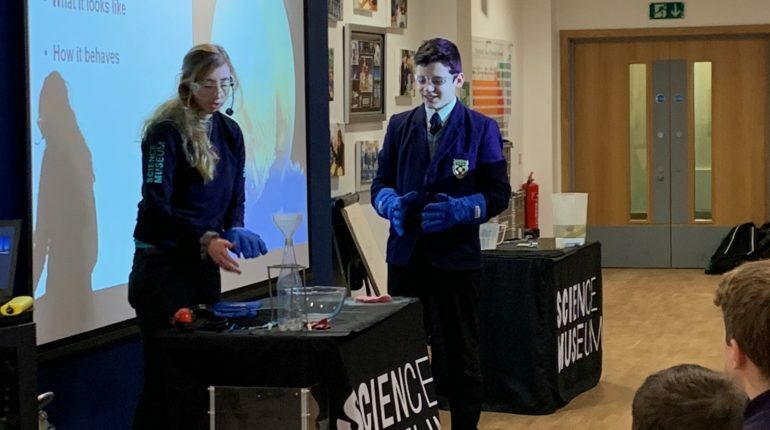 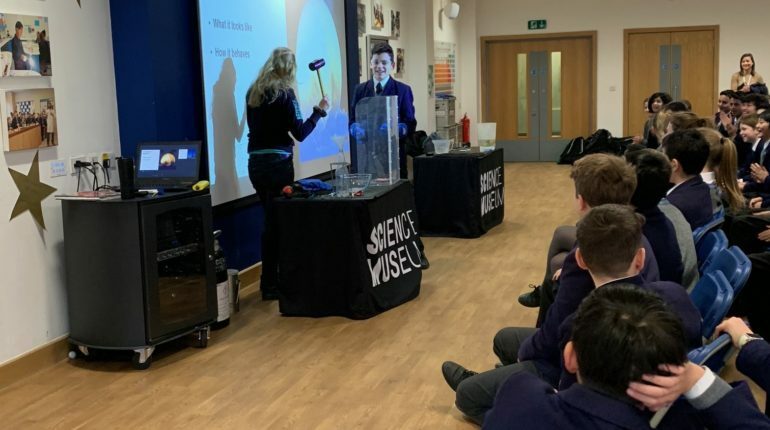 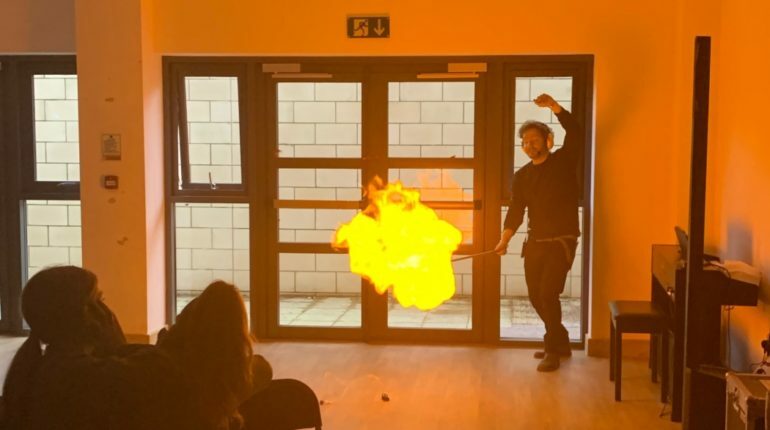 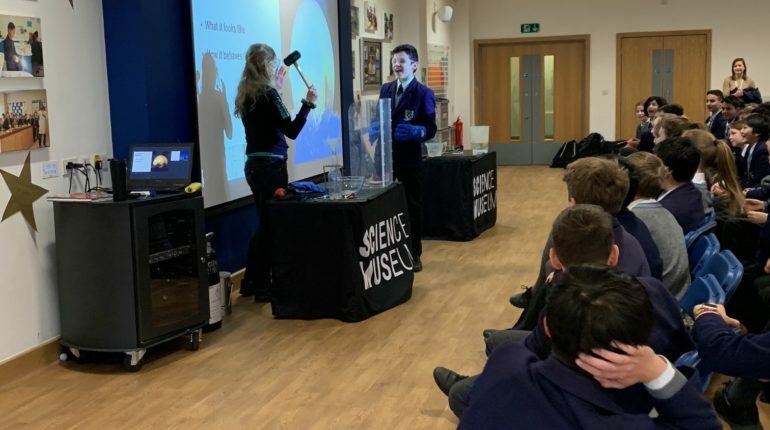 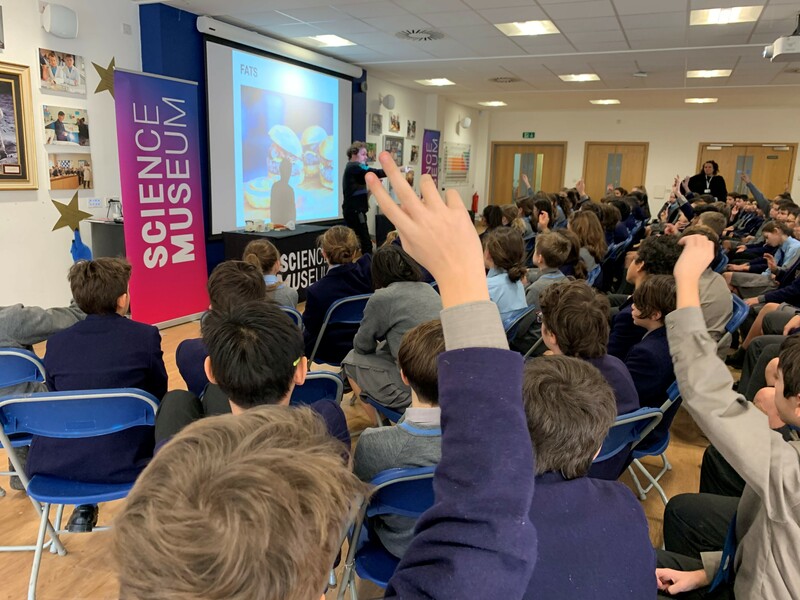 It is not quite time for Science Week but, planning ahead, the Science Museum Outreach Team came to visit on Thursday. 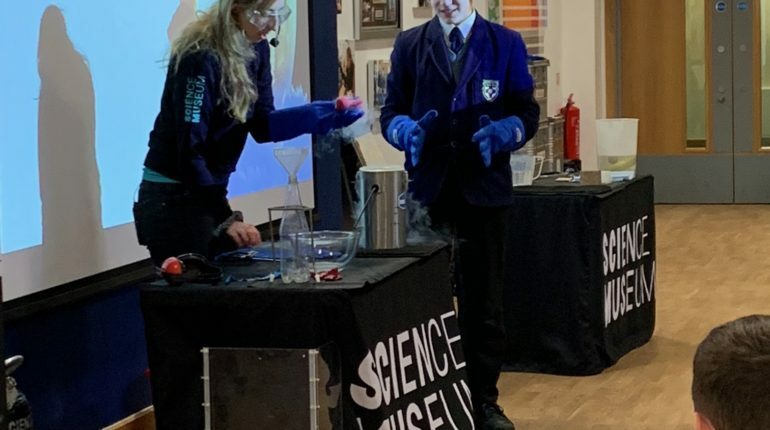 This was an outstanding opportunity for Year 7 and 8 to see demonstrations live in the Proctor Hall. 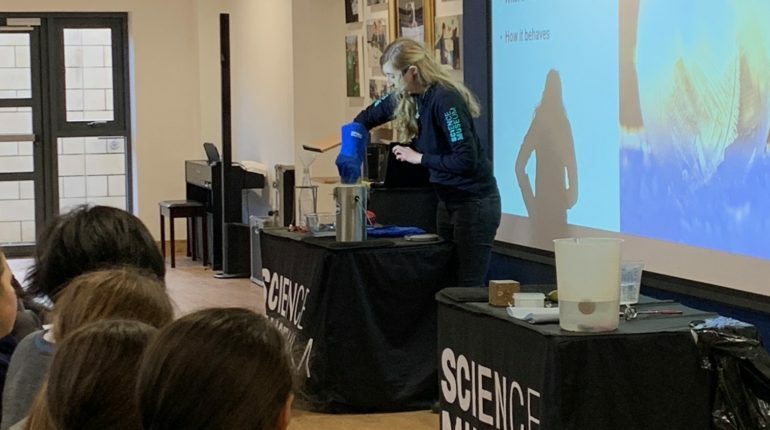 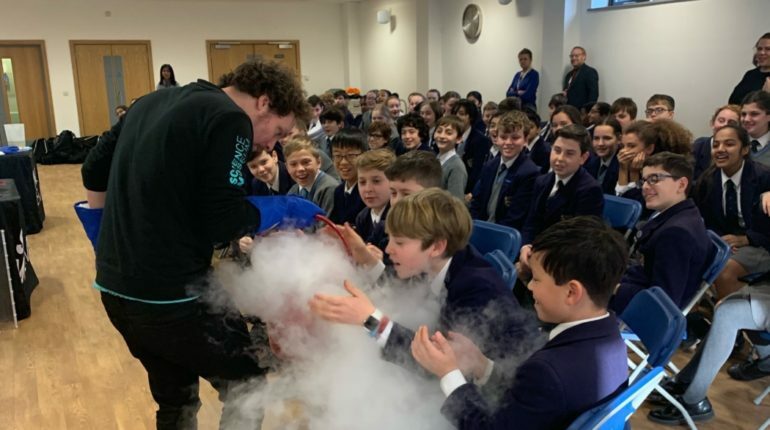 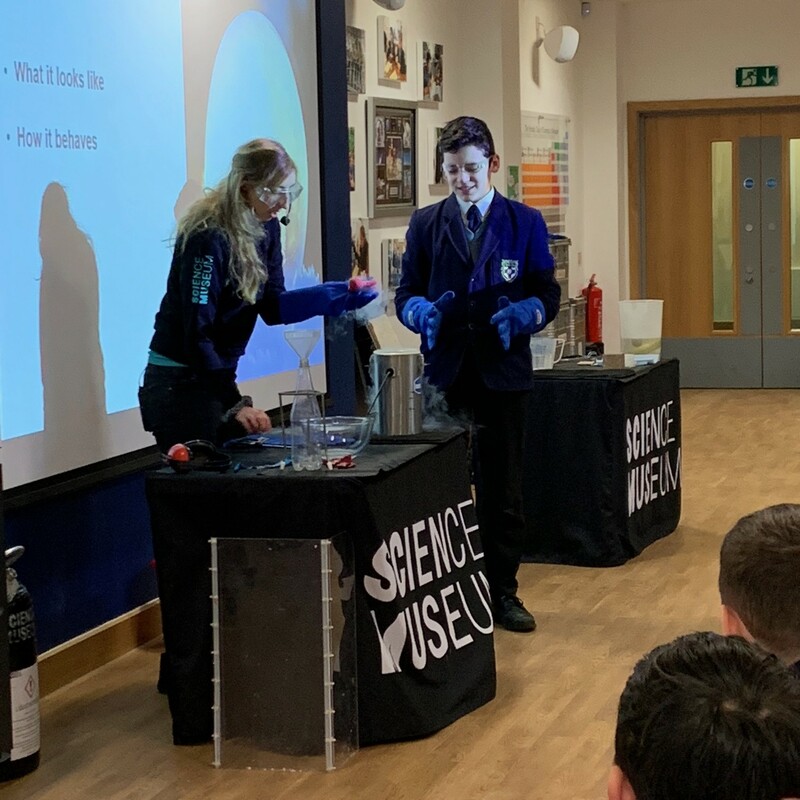 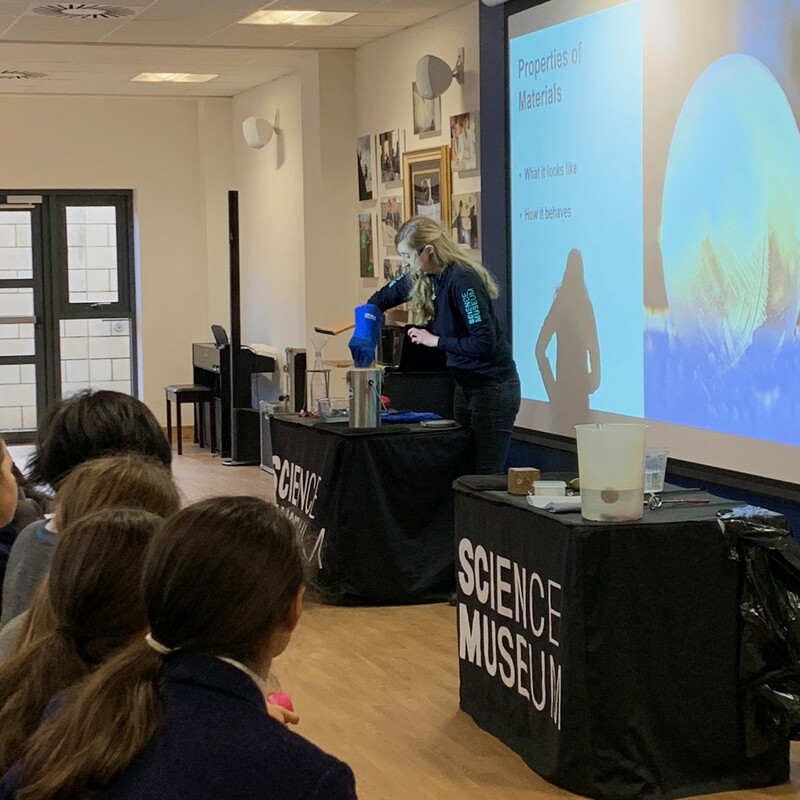 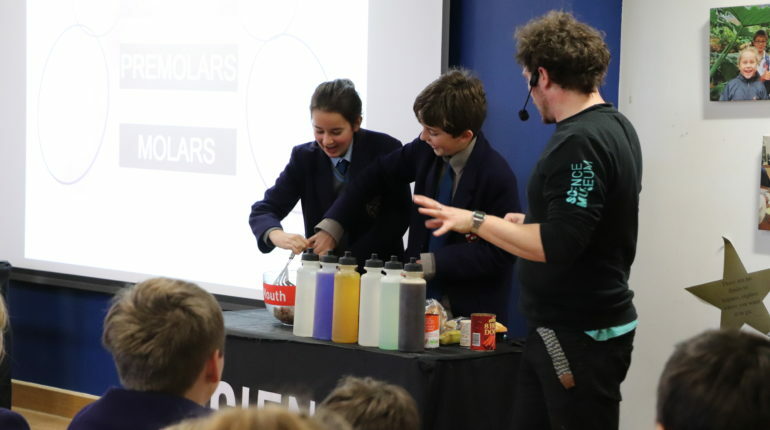 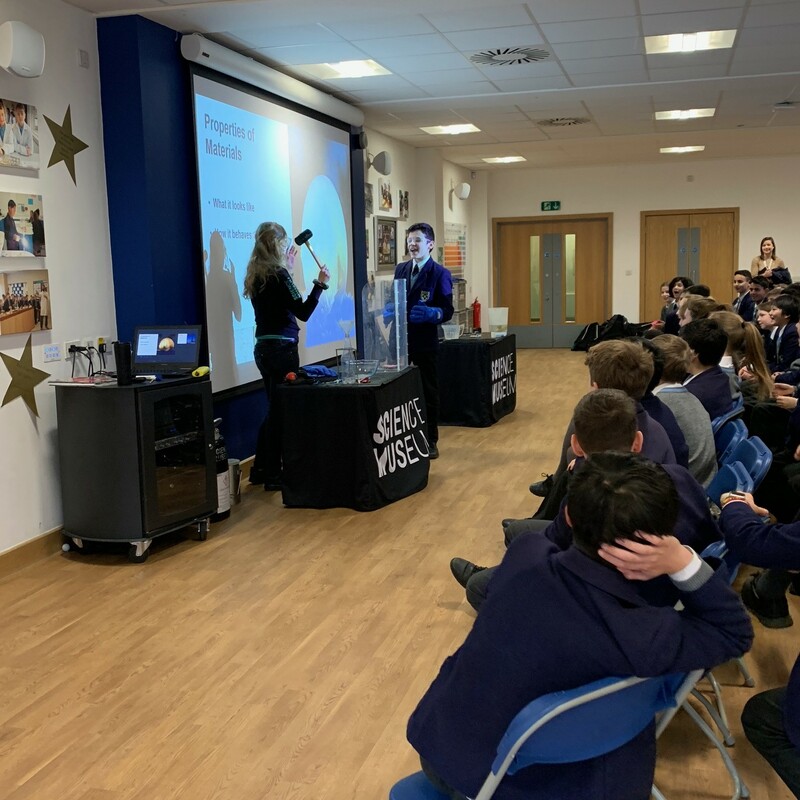 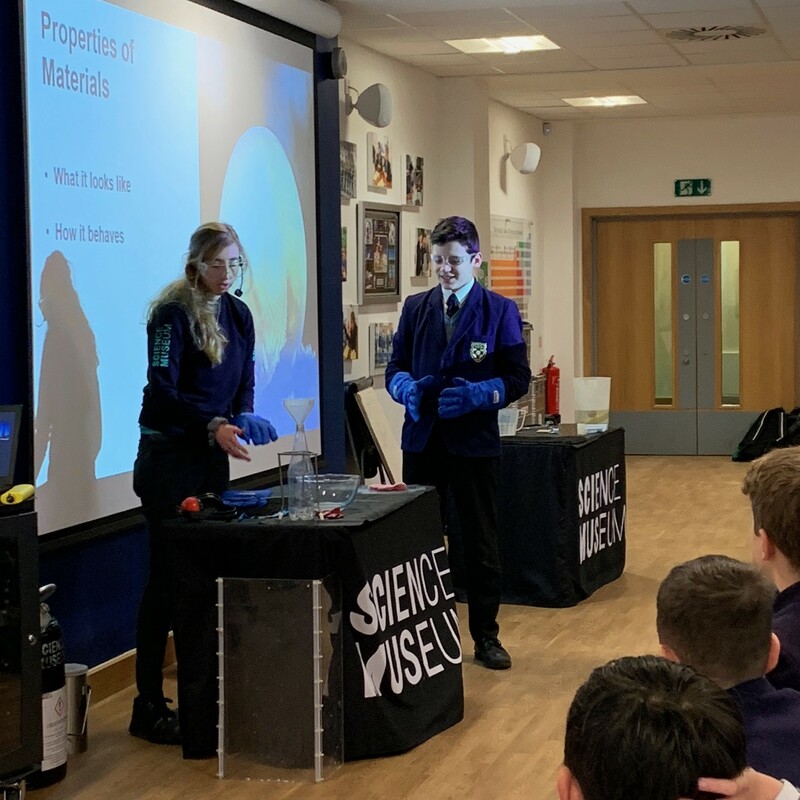 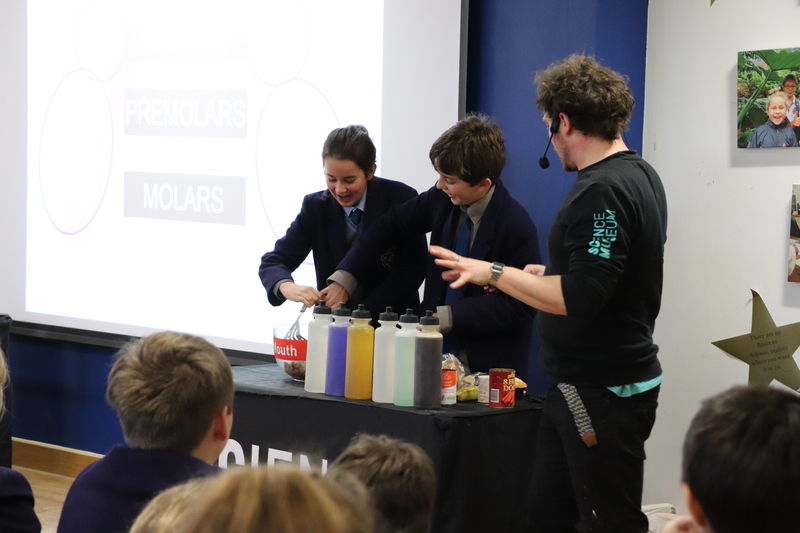 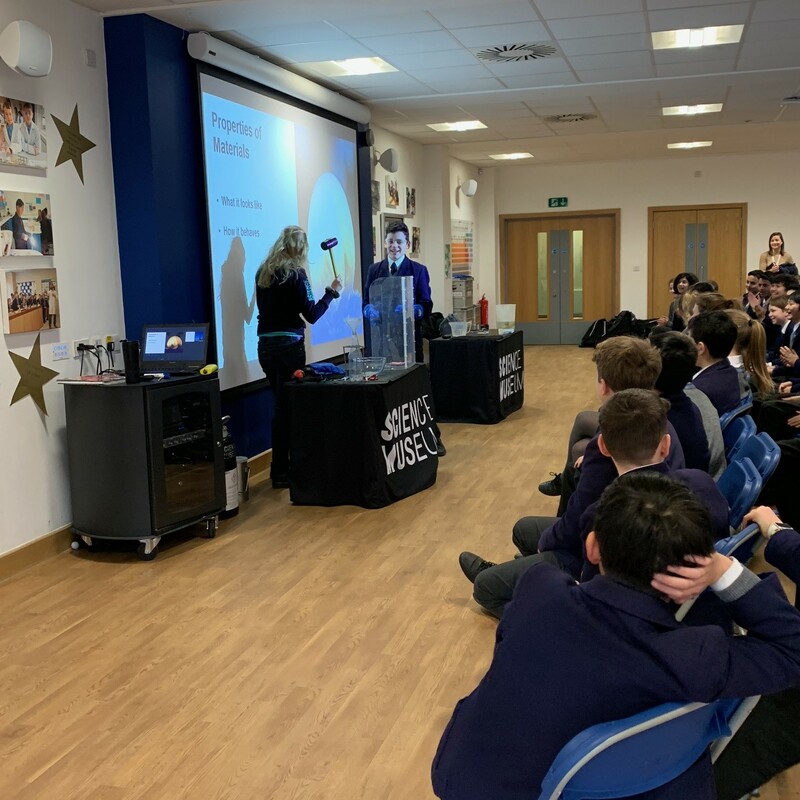 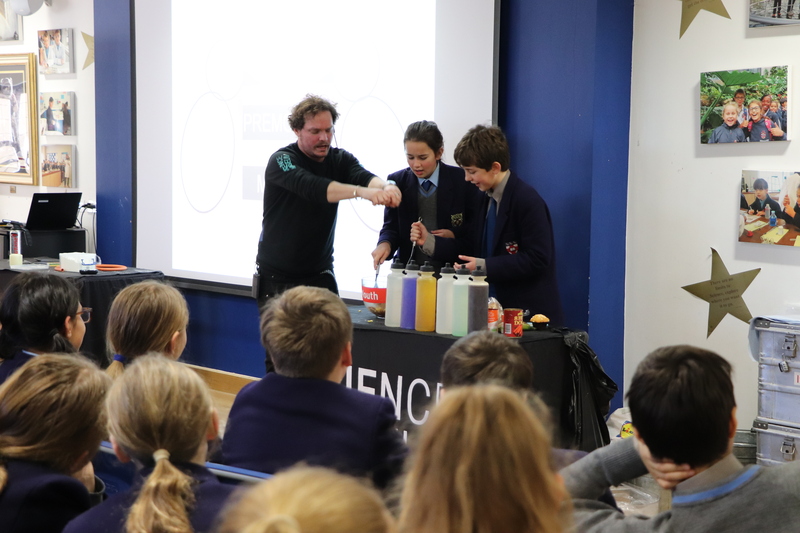 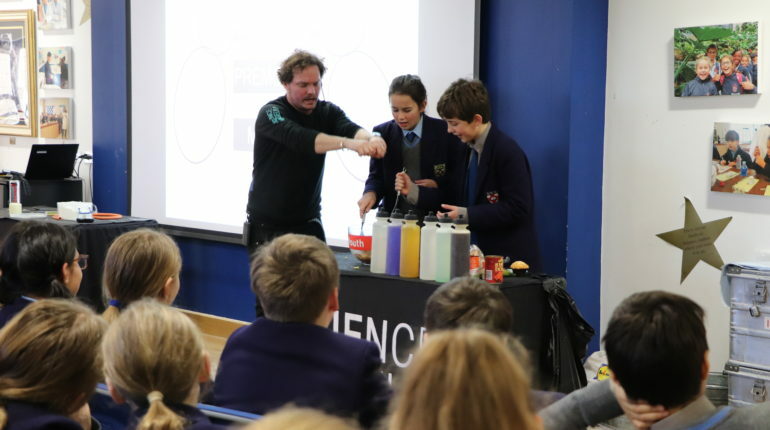 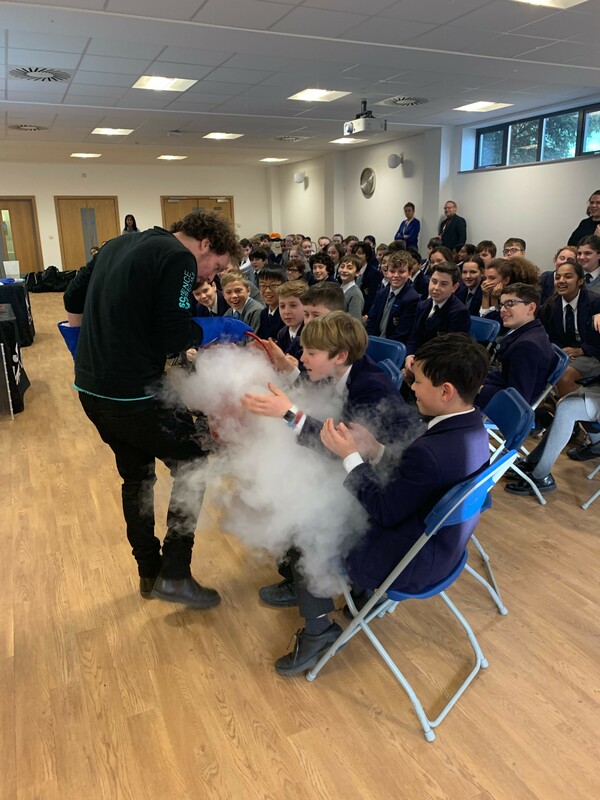 The talented presenters brought liquid nitrogen to show the effects of freezing a banana, and a graphic demonstration of the digestive system ended with a mock up elimination of waste that will probably be remembered for years to come. 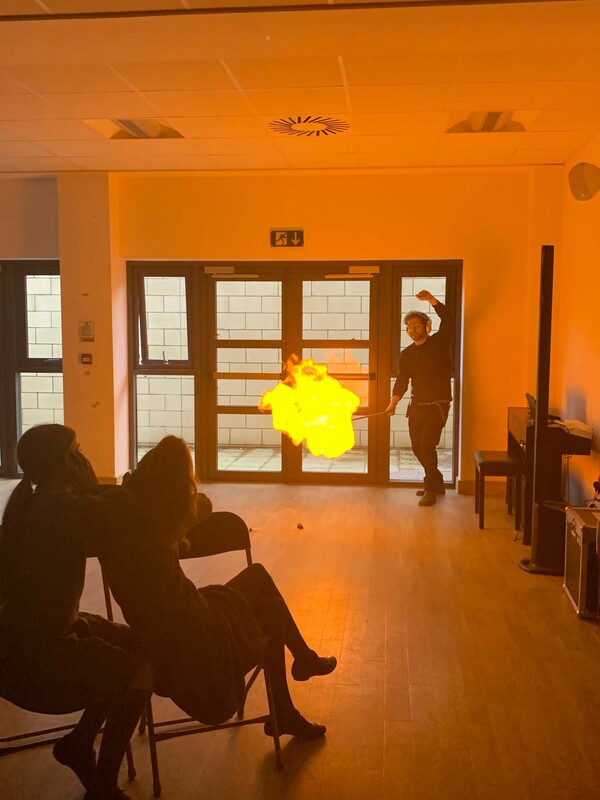 A corn flour fireball hit the roof, and a jelly baby called Mathew met a violent, sticky end. 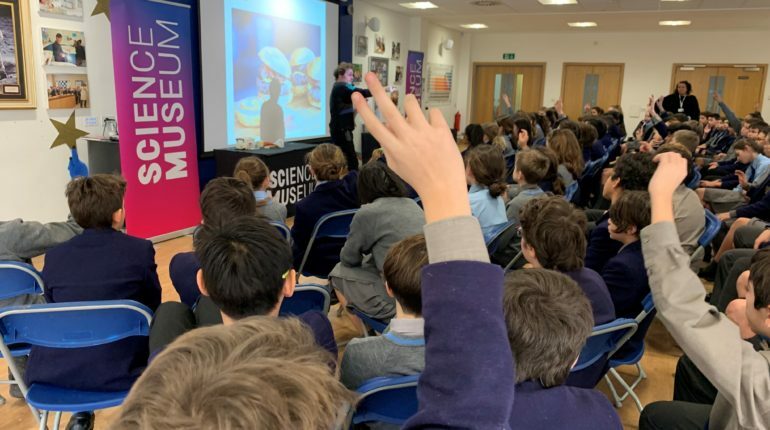 A fascinating and awe-inspiring day.